Thanks. I believe there are more similarities than there are differences between the Catholic Church and the Protestant Churches. The foundation of both churches is that both are Christian Churches. Both believe in worshiping the Triune God the Father, God the Son and God the Holy Spirit. Both believe in a personal relationship with Jesus. Both encourage daily bible reading as God’s means of communication with us. Protestants expect to see Catholic brothers and sisters in Heaven. I’m pretty sure not all Catholics believe Protestants will be in Heaven, but I know that some do. Tom, I have enjoyed this back and forth conversation we’ve been having. I always look forward to reading your blog even though I don’r agree with everything. I am not certain that the scripture is saying what some think it is. i just wonder why Christ would say to pray straight to The Father if Mary is infallible. 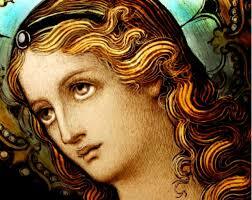 If mary is Infallible and to be asked for help then are all the other Catholic saints also infallible? The Pope is infallible. That’s an awful lot of folks between a believer and The Father. It feels a little like a gvt office where one must speak to 10 underlings to ever finally get to speak to the one in charge and get something done. As i understand many believe in a last pope who will be bad. Not knowing well which one he will be, how is one ever sure of the infallibility of the Pope? No one says Mary is infallible. You’ve got the wrong “i” word in play. This blog post makes reference to Church dogma that Mary was Immaculately Conceived, meaning that she was born without the taint of original sin; that Jesus had saved her before she was born, while you and I were saved after we were born. It’s a compilation of 2000 years of Holy Spirit-inspired teachings on our Christian faith. It liberally quotes the writings of the Popes and the saints, men and women alike. There is no question on what the Roman Catholic Church believes. Hi Harlan: This a good conversation. I’m no theologian, but I am struck that Sola Scriptura is mentioned nowhere in the Bible, but Tradition is, as I referenced in this post. Regarding Revelation 22:18-19, the Catholic Church doesn’t take away any words, but rather lets the Holy Spirit reveal doctrine, such as the Holy Trinity and the Immaculate Conception, over time that was always in the Bible. On the other hand, Protestantism removed a number of books from the accepted canon of the Roman and Eastern Churches. If Martin Luther would have had it his way, Revelation would have been one of those books. Here is where the rubber really meets the road: who decides what Sacred Scripture means? Without a teaching authority that has a final say, the Bible can be misinterpreted and twisted in ways that would make it unrecognizable to St. Peter. That is what has happened to Protestantism, I’m afraid, as it has splintered into some 30,000 to 40,000 variations. I don’t say this as a criticism, as much as an observation. There has to be an infallible teaching authority. This is where we disagree. I believe the Catholic Church has that authority based on my understanding of Sacred Scripture and Tradition. Thanks for writing and sparking such a rich, and I hope, fruitful, conversation.